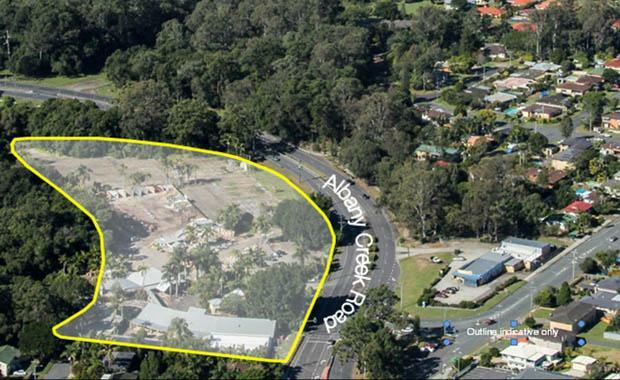 UNISON Projects plans to redevelop Hawkins Garden Centre at Albany Creek, into a $33 million townhouse precinct to meet the demand for high quality medium density product in the area. UNISON, in association with Super A-Mart founder John Van Lieshout, has purchased the 3.2 hectare land at 623 Albany Creek Road for $3.4 million. Previous owners Turrisi Properties has gained approval to create a mixed-use retail precinct on the site, however decided not to proceed and cut ties with the property. The purchase, handled by Robert Dunne and Peter Tyson of Savills, was made on September 29. UNISON Projects’ Shannon Down said the acquisition was in line with the company’s preference for unique, well-serviced infill sites in popular areas. Mr Down said the development application will be seeking approval by Moreton Bay Region Council. “Our proposal will take advantage of the site’s stunning natural attributes and offer rare and natural creek front living,” he said. “We will retain the site’s fig trees and rehabilitate the extensive creek frontage for future residents’ enjoyment. Mr Down said UNISON planned to capitalise on the area’s popularity and high demand for quality townhouse product. “We will be delivering product priced in the mid-$400,000s, suitable for new market entrants through to downsizers,” he said. “Albany Creek and Bridgman Downs are well established, beautiful older suburbs of greater Brisbane and this leafy area is very well serviced by retail and medical facilities, public transport, schools and major road links." Mr Down said he strong believes there's a market for this type of dwelling in the location and hopes to target younger buyers and people looking to downsize or who don't want to take on the burden and risk associated with renovating. “Younger buyers are another target market. Entry-level stock in the area is priced in the low to mid $400,000s. “However these are older homes with asbestos which generally require extensive renovation. We want to deliver a product that is new, well designed, requires low maintenance and is attractively priced. The current activities include residential, industrial, commercial and resort projects from Sunshine Coast through to Byron Bay.